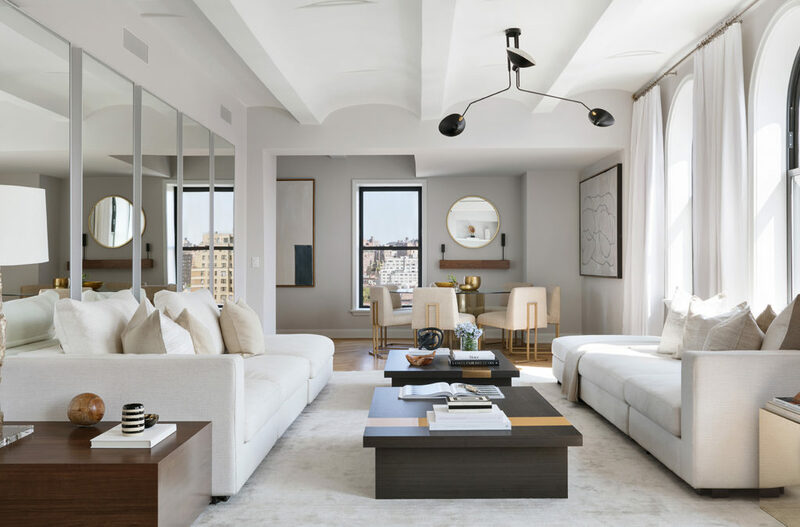 Alexa Lambert and Allison Black from Stribling & Associates are asking $10.5 million for this three bedroom, 3.5 bath corner home at The Shephard on West 10th Street. Unit 12A has a media room and an open living and dining room that is over 42 ft. long with arched, south-facing windows offering Hudson River views, a fireplace, barrel vaulted ceilings and white oak herringbone floors. The kitchen, custom made and hand-painted by Smallbone of Devizes, is situated right off the great room, with a window facing east and a room for a table or sitting area in addition to the island. The building offers residents a library, spa, gym, half basketball court, and an indoor climbing wall.